Rent a Rolls Royce in Miami for a day or for the whole weekend. You can choose from several models such as the Ghost II, Phantom V, Ghost, and the Phantom VIII. Drive one of the most luxurious cars in Miami for the weekend. Rolls Royce rentals can make a lasting first impression on business partners and potential clients. Our Rolls Royce rental service comes with FREE delivery to Miami International Airport. We can also deliver to Miami Beach, South Beach. Brickell, Midtown, Downtown, Doral or anywhere in south Florida. Rent the latest RR models as well as plenty of other luxury car rentals in Miami. The Phantom is the 8th edition and has been updated with the latest technologies for the new tech era. Besides all the wonderful tech inside, the beautifully redesigned exterior and interior set the bar for luxury car rentals in Miami. After 8 editions Rolls Royce has outdone themselves with this luxury sedan. As with all of our Rolls Royce rentals in Miami, we offer free delivery to your hotel, home, business or special event. 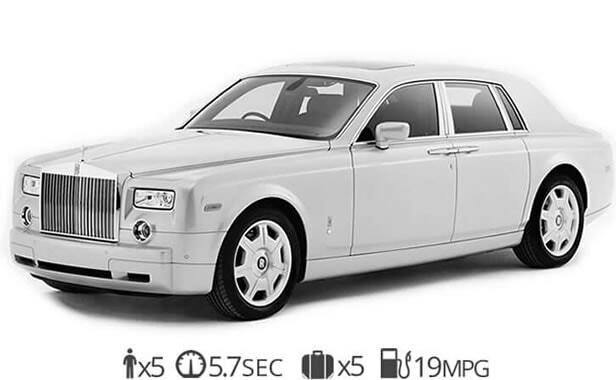 If you want to make a grand entrance then the Rolls Royce Phantom VIII is ideal luxury car. The first ever Rolls Royce SUV is now available for rent in Miami. 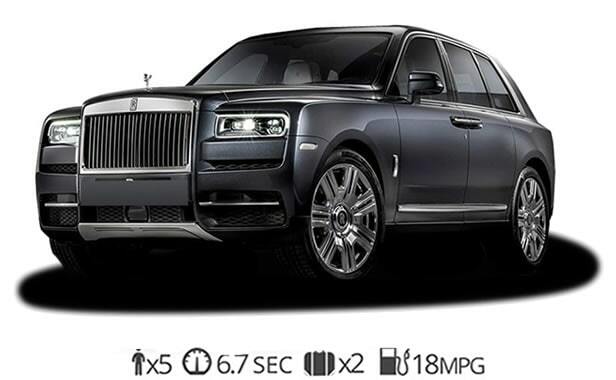 Our Rolls Royce Cullinan rental service is available for daily, weekly or monthly rentals. The Rolls Royce Cullian is indisputably the most luxurious luxury SUV in the world. Regardless of the model you choose, any Rolls Royce rental in Miami will set you apart from the rest. Experience the beautiful Miami weather behind the wheel of the most iconic luxury SUV in the world. If you need multiple Royce Royce rentals we can provide special discounted rates when you rent two cars at a time. The newest Rolls Royce Ghost is everything you would expect from the English luxury car brand. Step inside and you’ll quickly realize that you’re in one of the most luxurious cars in the world. Every corner of the interior is draped in the finest leathers that are hand stitched to perfection. 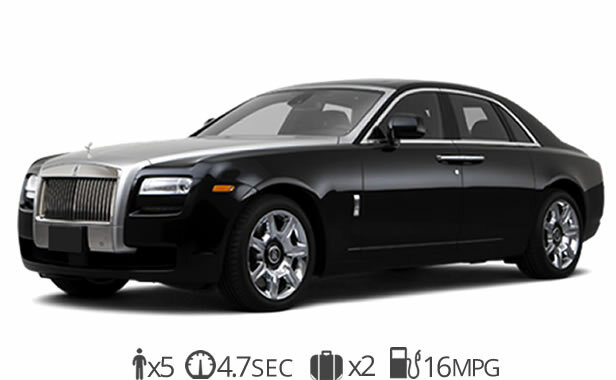 The Rolls Royce Ghost rental is one of the most requested luxury sedans for rent in Miami. It is a great car for weddings, proms and any event you might have. We can have this beautiful luxury car rental delivered to your home, business or hotel at no additional cost. The Rolls Royce ghost wedding rental service is available with a driver for your special day. When the Rolls Royce Phantom was released it revolutionized the luxury car industry. While this model is several years old it still looks beautiful and makes a grand entrance wherever it arrives. When you step inside any Rolls Royce the timeless design never gets old. Although the new model has been updated quite a bit you won’t be disappointed when we deliver this beautiful Rolls Royce rental at your hotel, home or business in Miami. Experience Miami beach behind the wheel of a classic luxury car rental. The first generation Rolls Royce Ghost is still a beautiful luxury car to rent in Miami. Anyone of our Rolls Royce rentals will make a lasting first impression at any event you take it too. You can rent this opulent luxury sedan for a day or a week. For long-term luxury rentals, give us a call and we can offer you special rates. You’ll fall in love with the Rolls Royce Ghost as soon as it arrives. at your door. The Ghost can seat 5 people comfortably and has plenty of room for your luggage. Ready to rent a Rolls Royce in Miami?